Seed companies produce and sell seeds for flowers, fruit and vegetables to the amateur gardener. The production of seed is a multibillion-dollar business, which uses growing facilities and growing locations worldwide. While most seed is produced by large specialist growers, large amounts are produced by small growers that produce only one to a few crop types. These larger companies supply seed both to commercial resellers and wholesalers. The resellers and wholesalers sell to vegetable and fruit growers, and to companies who package seed into packets and sell them on to the amateur gardener. Most seed companies or resellers that sell retail, produce a catalog – generally published during early winter for seed to be sown the following spring. These catalogs are eagerly awaited by the amateur gardener, as during winter months there is little that can be done in the garden, so this time can be spent planning the following year’s gardening. The largest collection of nursery and seed trade catalogs in the U.S. is held at the National Agricultural Library. The earliest catalogs there date from the late 18th century, with most published from the 1890s to the present. Shakers were among the earliest commercial producers of garden seeds; the first seeds sold in paper packets were produced by the Watervliet Shakers. Seed companies produce a huge range of seeds from highly developed F1 hybrids to open pollinated wild species. Many gardeners like to stick to old familiar varieties but each year seed companies produce new varieties for gardeners to try. They have extensive research facilities to produce plants with better genetic materials that result in improved uniformity and gardening appeal. These improved qualities might include disease resistance, higher yields, dwarf habit and vibrant or new colors. These improvements are often closely guarded to protect them from being utilized by other producers, thus plant cultivars are often sold under their own names and by international laws protected from being grown for seed production by others. Along with the growth in the allotment movement, and the increasing popularity of gardening, there have emerged many small independent seed companies. Many of these are active in seed conservation and encouraging diversity. They often offer organic and open pollinated varieties of seeds as opposed to hybrids. Many of these varieties are heirloom varieties. The use of old varieties will continue to maintain diversity in the horticultural gene pool. There is a good case for amateur gardeners to use older (heirloom) varieties as the modern seed types are often the same as those grown by commercial producers, and so characteristics which are useful to them (e.g. vegetables ripening at the same time) may be unsuited to home growing. Until 1924, US farmers received seed from the federal government's extensive free seed program that distributed millions of packages of seed annually. At its high point in 1897, over 2 million packages of seed were distributed to farmers. Even at the time the program was eliminated in 1924, it was the third largest line item in the United States Department of Agriculture's budget. In 1930, seed companies were not primarily concerned with varietal production, but were still trying to successfully commodify seeds. There was no need to protect seed breeding at that time because there were few markets for seeds. Seed companies first priority was simply to establish a market, and they continued to view the congressional distribution as a principal constraint. Common plant name and the botanical name (in parentheses). Space and deep: how deep to place the seeds in the soil, space between plants (from one row to the other one and from one plant to the other one in the same row). Height: approximate height the plant will reach when mature. Soil: type of soil the plant prefers. Water: It can indicate "keep the soil lightly damp", "bottom water the plant", "drench the soil with water", "daily misting of water" and "almost dry out before re-watering". Sun: full direct sunlight, partial sun, diffused sunlight, or grows well in the shade. Door: if the plant is best suited for growing Indoor, Outdoor or Both. Planting, germination and harvest period: This information can be indicated by months or quarters of the year. This information can be represented graphically. ^ "Guide to the Collections: Henry G. Gilbert Nursery and Seed Trade Catalog Collection." National Agricultural Library, Special Collections. Retrieved April 23, 2009. ^ Work and worship among the Shakers: their craftsmanship and economic order, Edward Deming Andrews, Faith Andrews, Courier Dover Publications, 1982, p. 53. ^ Landmarks of American women's history, Chapter: Watervliet Shaker Historic District, Page Putnam Miller, Oxford University Press US, 2003, pp. 36 ff. 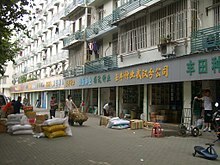 Wikimedia Commons has media related to Seed shops. This page was last edited on 2 March 2019, at 09:28 (UTC).